Owning a car entails a lot of maintenance to be able to get the most out of it and it can be quite expensive to keep sending it to the auto repair shop. There are some jobs that are too technical for most people to do but changing a tire is something that every driver needs to know. Everyone has probably experienced parking their car and leaving it there for hours only to find out that you drove your tire over a nail leaving the tire flat or horribly low on air pressure. Every car needs to have a jack in the trunk for these situations. It’s never safe to drive with a soft or flat tire. It can be very hard to steer and can put your car off balance. You also risk greatly damaging your car. Keeping a spare, a small tool box with essentials (like these), and a jack in your car is hassle free and will benefit you in the long run. At just 43 pounds, the OTC 1533 leads in the lightweight category of car jacks but it can still hold up to 2 tons of weight. This awesome jack is made with aircraft-grade aluminum and with its dual pump pistons, you can reach a maximum height of 18 inches. Getting the car up is easy, all you need are 5 pumps. Since it has handles on its sides, moving this from one car to another or around your garage is really convenient. This racing jack also has a removable rubber saddle pad which prevents it from slipping. It also comes with 2 aluminum jack stands. 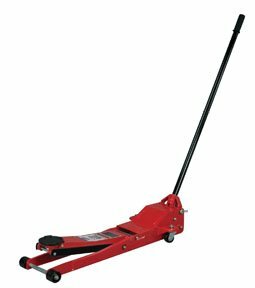 The Aluminum Racing 2 ton is a great overall jack and has a 4.5 star average rating because of its convenience in terms of weight and various usage applications. The Torin Hydraulic Trolley Jack is easy to store and transport with its carrying case. While jacks aren’t really that difficult to move around, a case makes it easier for you to hold onto it when switching cars or if you want to keep it elsewhere. The Torin Jack has a weight capacity of 2 tons and with its safety measures to prevent overload, you will be prevented from lifting the car if it goes beyond the maximum. This trolley jack has a heavy duty rotating saddle and its handle also rotates 360 degrees so that you can swing it around to different angles to make it easier to use. It can lift anywhere from 5.6 inches all the way to 13 inches. It's also worth noting that this jack isn’t advisable for people with low cars. Depending on the height of your car, it might not be easy to place this underneath if the car you’re driving is lower than the average height. 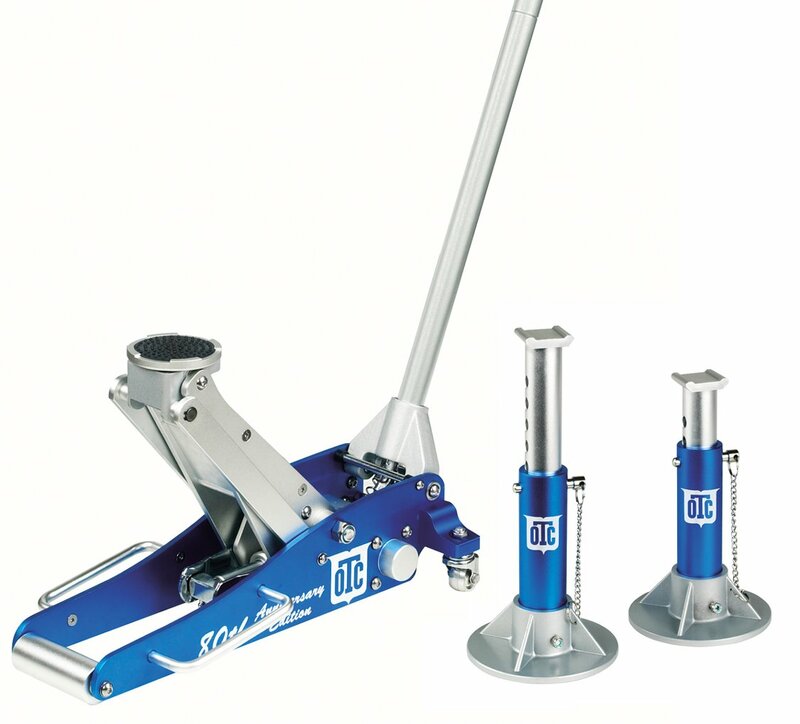 The Advanced Tool Low Profile Jack is great for people with low cars with its minimum height of just 1 and 1/3 inches. This doesn’t mean that you have to sacrifice its maximum height because this jack can still go up to as high as 20 inches. With its wide stance and low center of gravity, you can expect this jack to be perfectly stable. And this jack has the Swift Lift technology which allows you to lift it quicker. And with its universal joint release, your load can safely and precisely go down from any hand position. 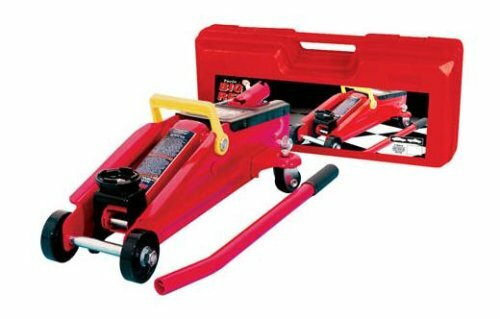 Every car needs a jack and if you don’t have one or if yours isn’t performing up to your standards, then choose from one of these great jacks for you to use in the home garage.